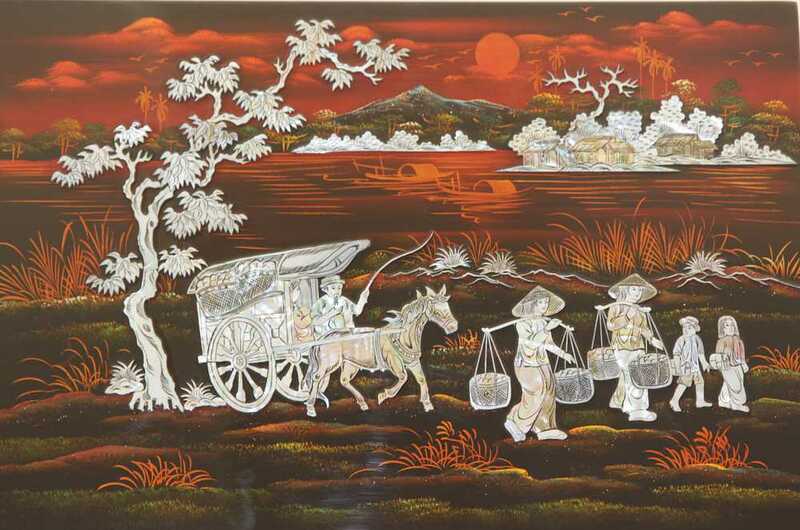 Beautiful lacquer painting of a peaceful rural scene. This painting is made with mother of pearl inlaid. Size: 16"x 24" Hand made in Vietnam.